The functionality comes via a new “webhooks” API (application programming interface) for Dropbox, which lets developers set up real-time notifications for their Web apps whenever users modify a Dropbox file. “Webhooks are great for any app that needs to respond quickly to changes in Dropbox,” Dropbox’s Steve Marx wrote in a blog post Wednesday. Until now, Web apps that needed to know about users’ Dropbox changes had to continually poll the Dropbox servers. “Client-side applications have already been able to get low-latency notifications via longpoll_delta or the built-in notifications in the Sync API. Webhooks give this same ability to server-side apps,” Marx wrote. The developer of Picturelife, a photo management and sharing Web app, tested the webhooks API and said it has removed a burden from its back-end sync services, which will no longer have to make “thousands of requests” and instead only make requests in response to specific Dropbox pings. “Meanwhile, this new API turns out to be a real win for our customers too. With webhooks, our users now have the best, most up-to-date experience, right when they login to Picturelife,” wrote Picturelife CEO Nate Westheimer in the blog post. 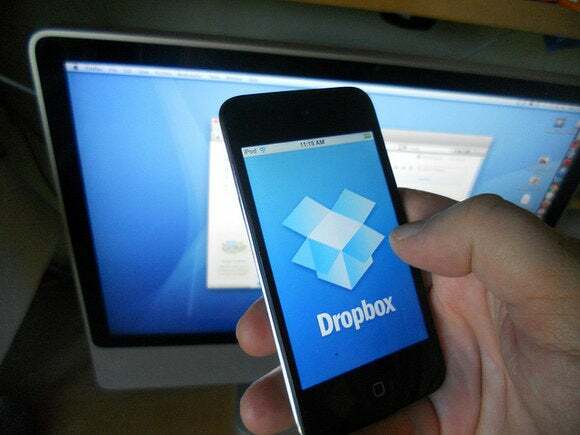 Dropbox built a sample application to demonstrate how the API works that creates a special folder in users’ Dropbox accounts, gets notified whenever a Markdown plain-text formatted file is placed in it, and converts the document into HTML format. To tap into the API, developers need to register their Web app’s URI (uniform resource identifier) to be alerted via HTTP requests of which users have added, deleted or changed their Dropbox files. New APIs and overall improvements to the Dropbox developer platform have a big impact—about 100,000 third-party applications have been built for the Dropbox service so far.